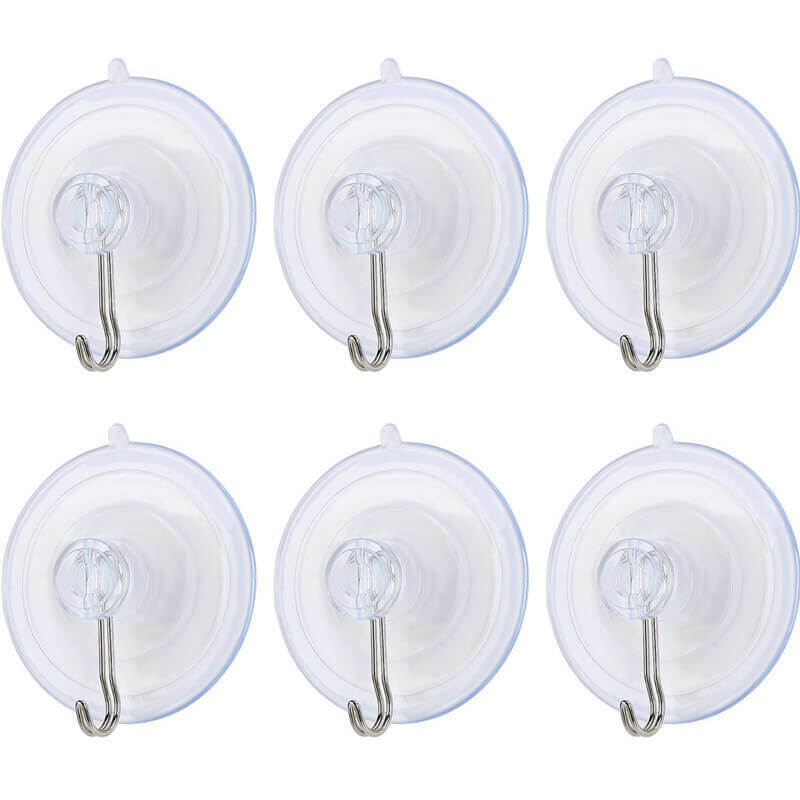 STRONG – No more drilling, suction cups hooks is very strong load bearing. 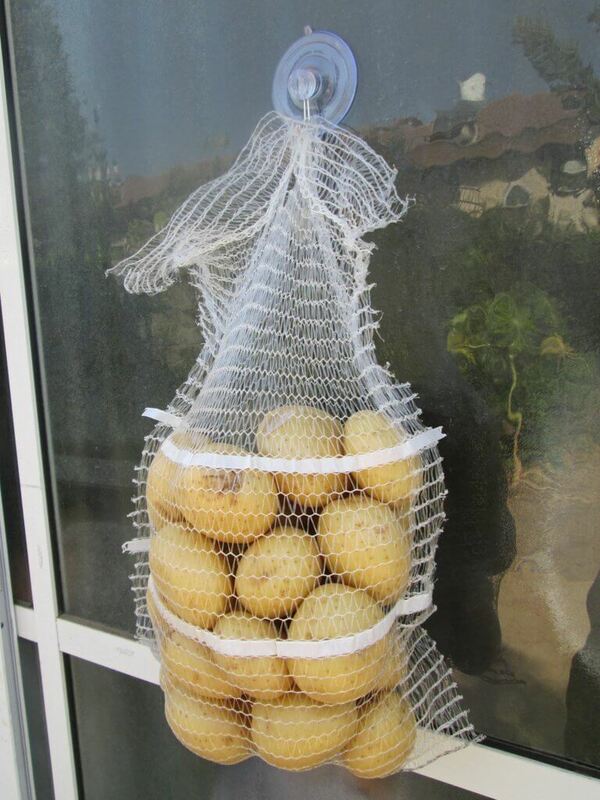 You can load weight even up to 12 pounds. 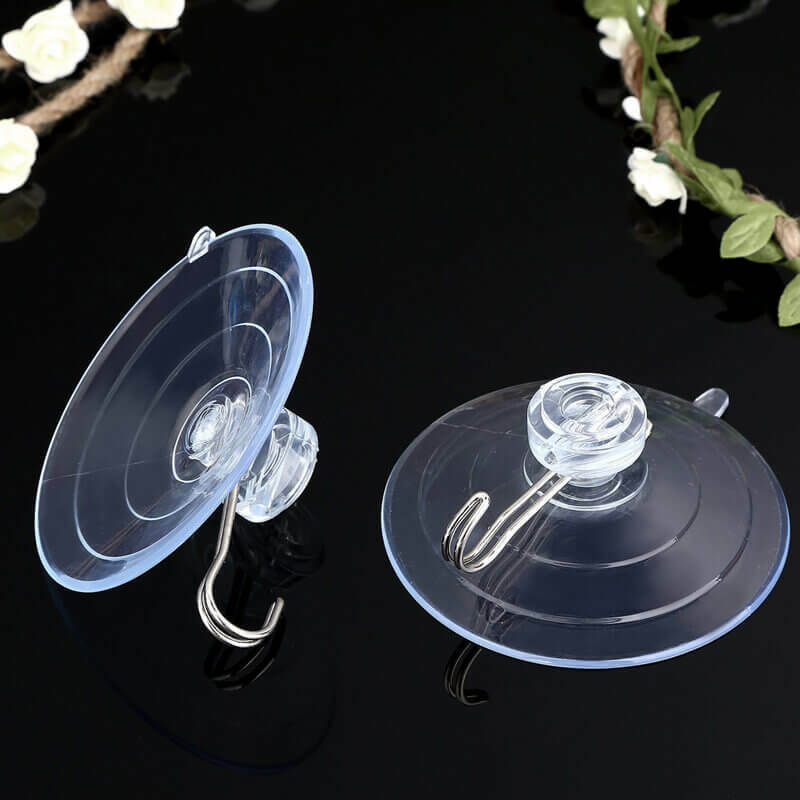 Strong suction cups hooks with or without hooks. 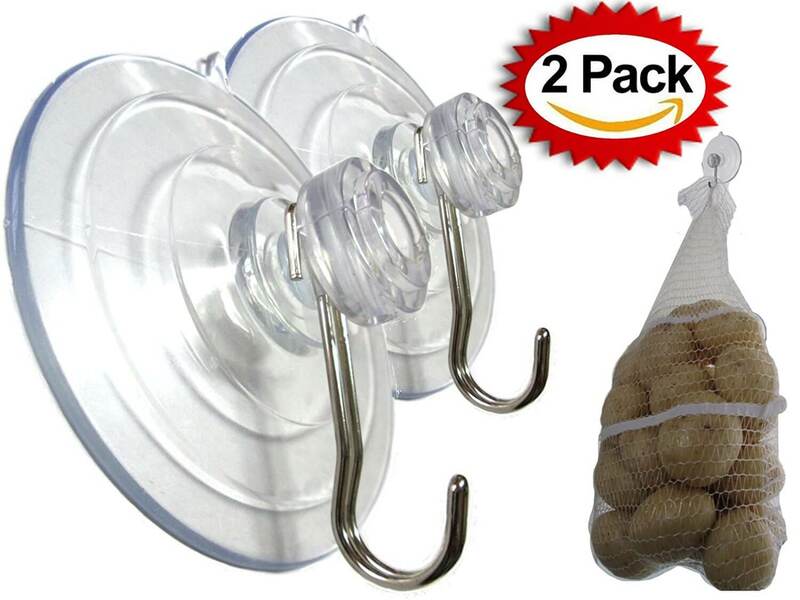 Large suction cups hooks about 3.14″ diameter, what gives high carrying capacity. RELIABLE – Quality material that will give you peace, fine product you can trust. 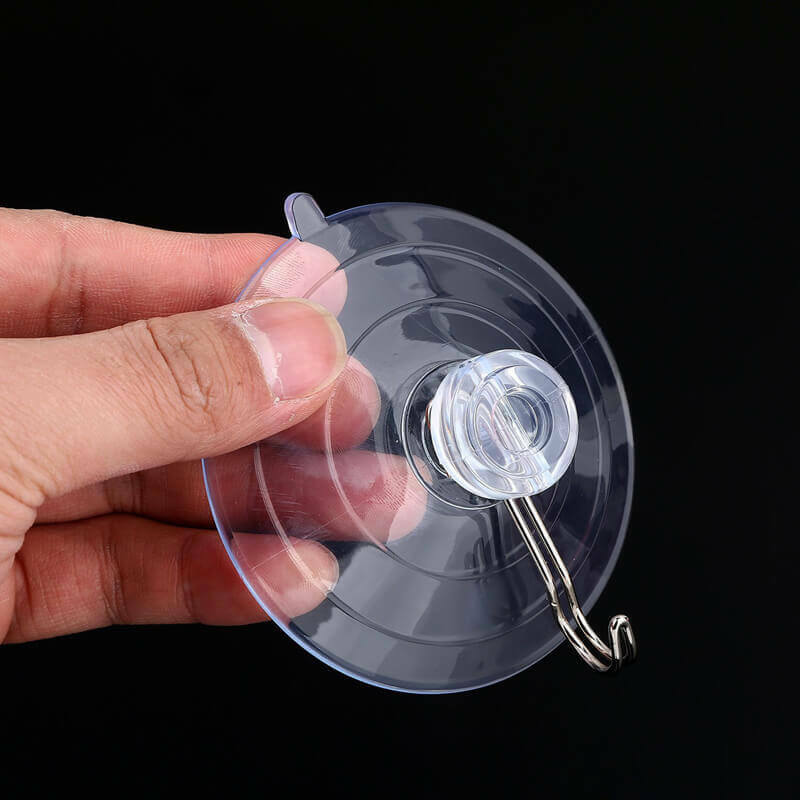 Made of high quality PVC with stainless metal hook, adjusted in its many uses. You can trust that you won’t find your belongings on the floor at morning… Long life, strong and quality over time, you can re-use and re-use and re-use again and again and again… A high quality product at an affordable price, wouldn’t you buy??! 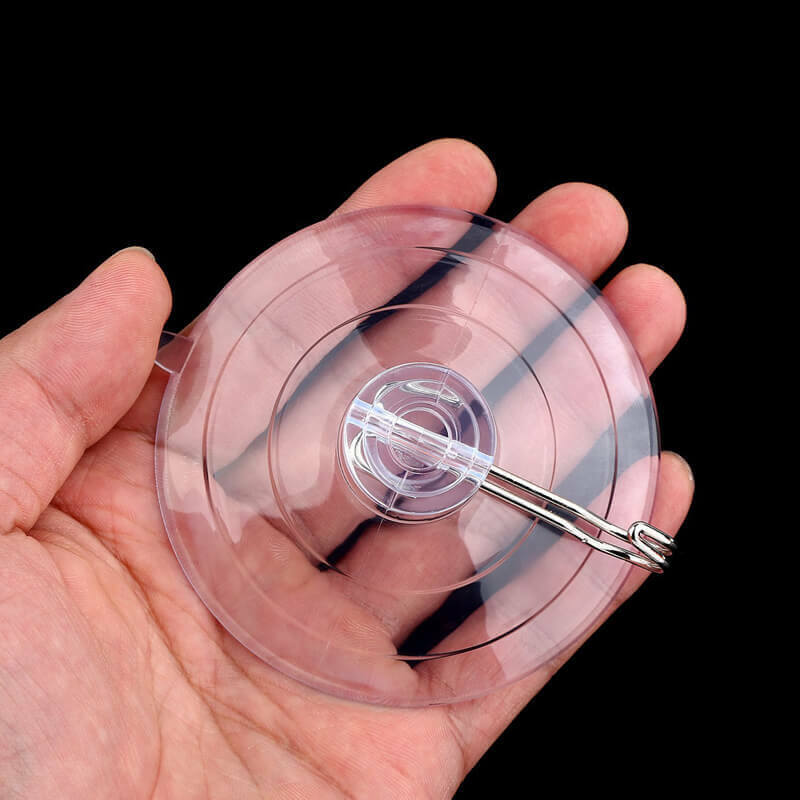 WIDELY USES – Great clear design, but also very practical! 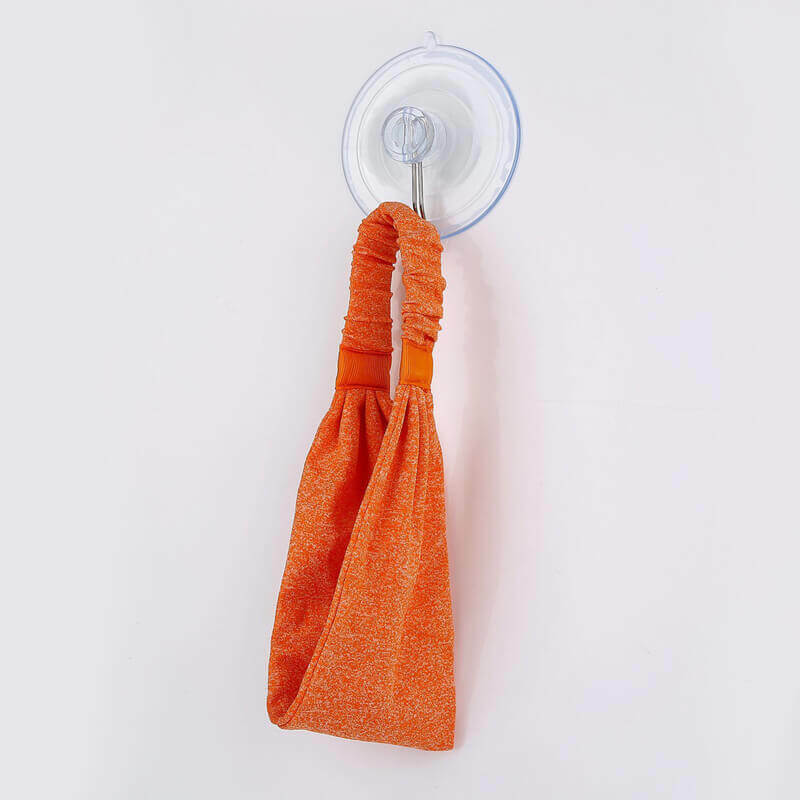 You can hang on the suction cup directly, or on the hanging hook. 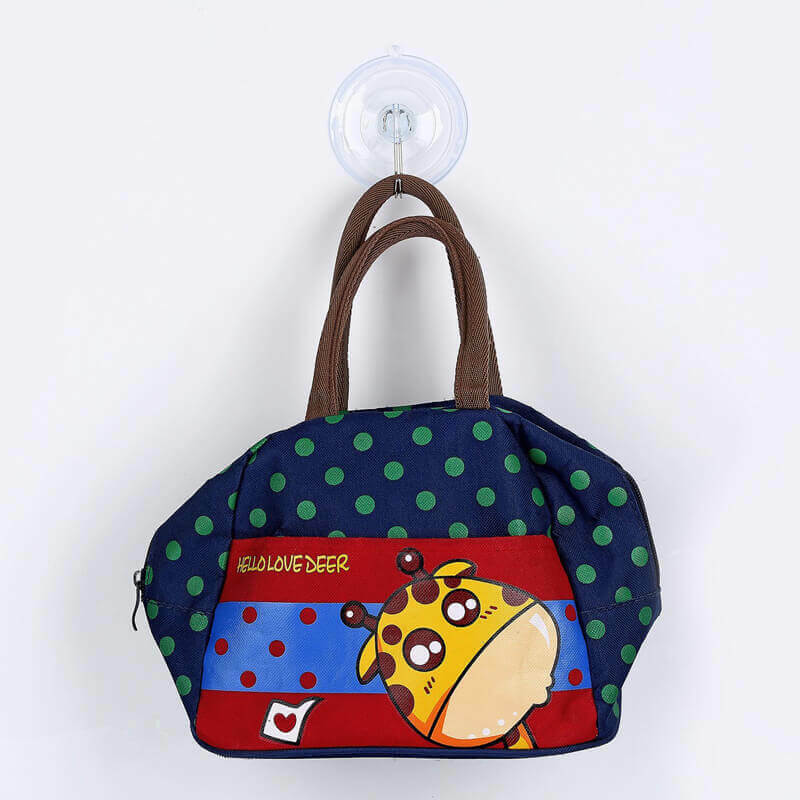 Hanging hook easily removable, so you can find him another variety of uses, according to your imagination and creativity level. 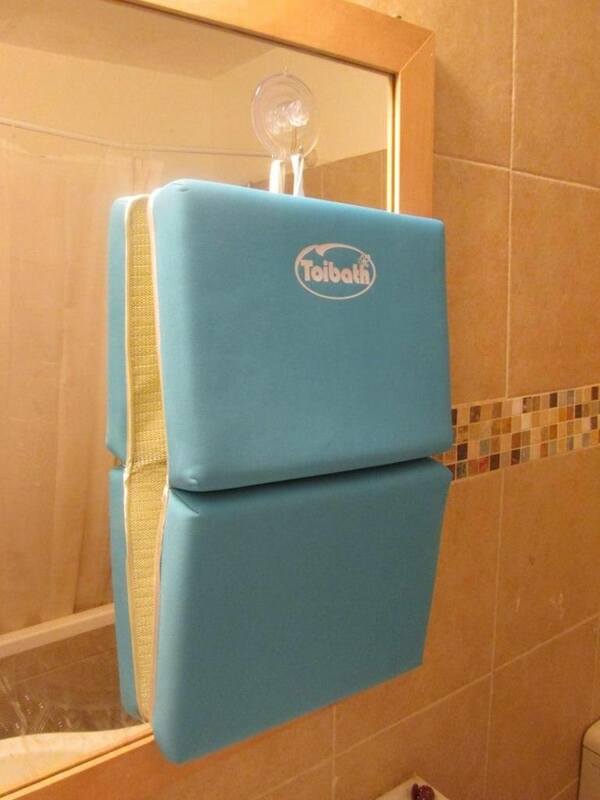 Can be used as a towel rack for shower or bathroom. 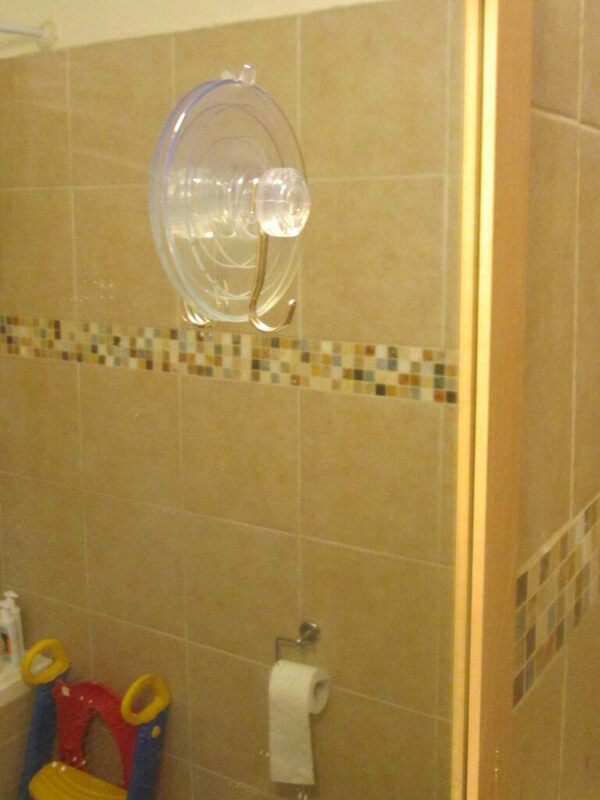 CLEAN – No more holes in the walls! A simple paste without signs and without residue. Removable and re-paste again and again, just keep the surface and the suction cup clean and free of any dirt. 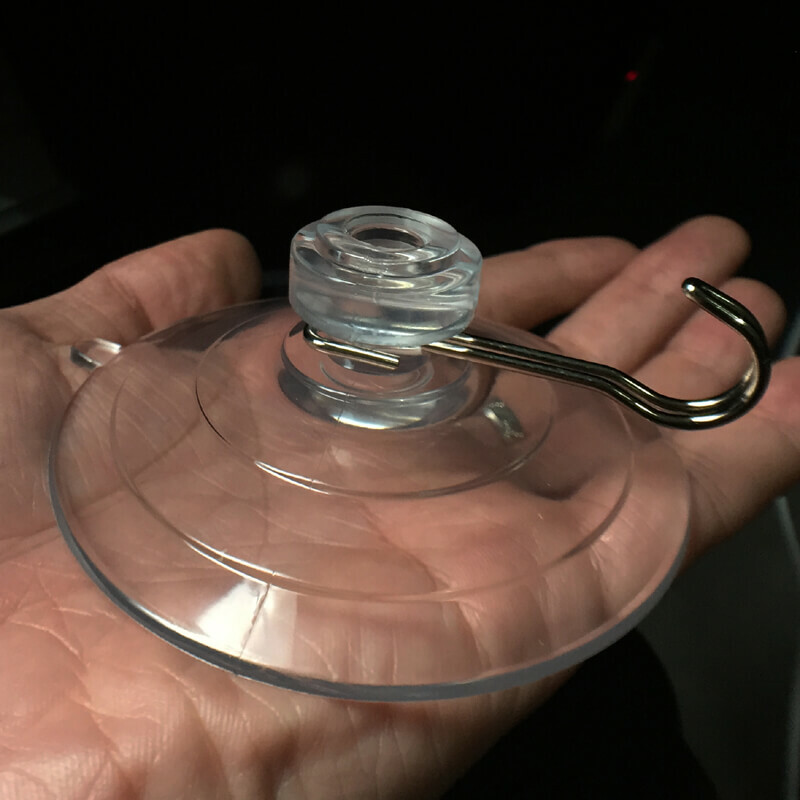 NO DRILLING – Built powerful suction technique, with a wide surface area allowing greater carrying capacity than normal, and no need for drilling. Only a smooth and clean, and there you have a strong Hanging hook and a whole wall! Please respect and do not buy at your holy days. Thanks. 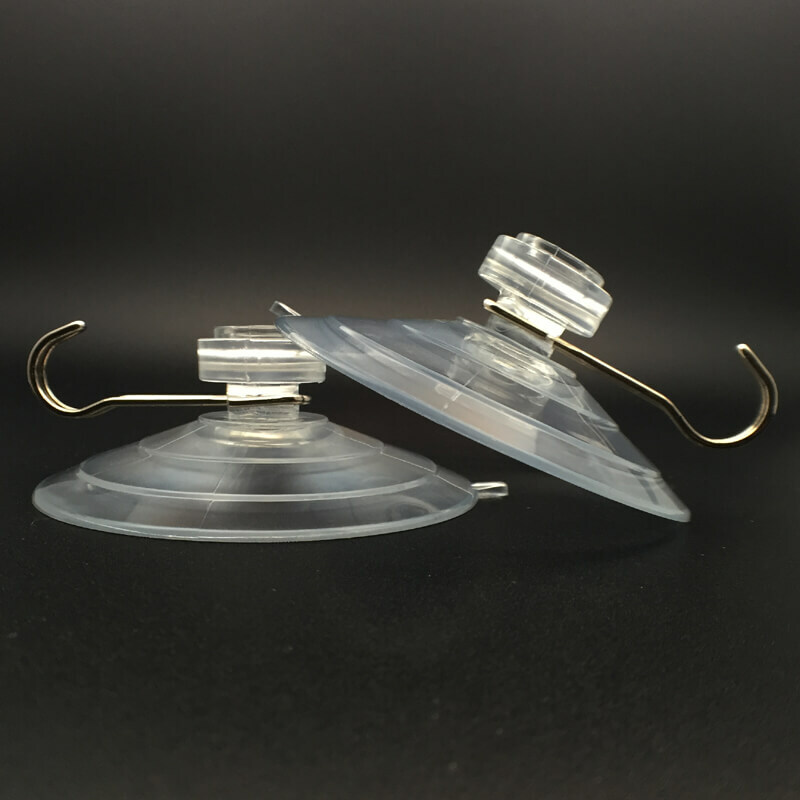 ARE YOU LOOKING FOR SUCTION CUPS HOOKS TEMPORARY OR PERMANENT STORAGE SOLUTION? 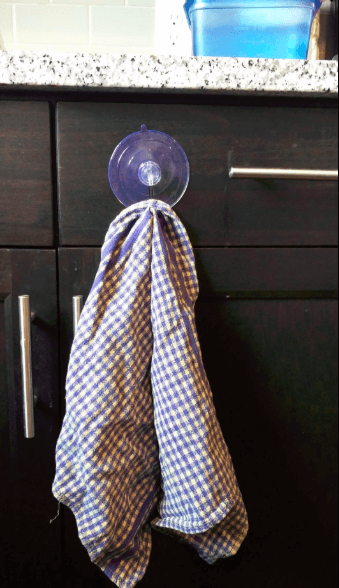 Want to hang a towel to dry and have no space? Feel that you have parts of the wall you would like to take advantage of? 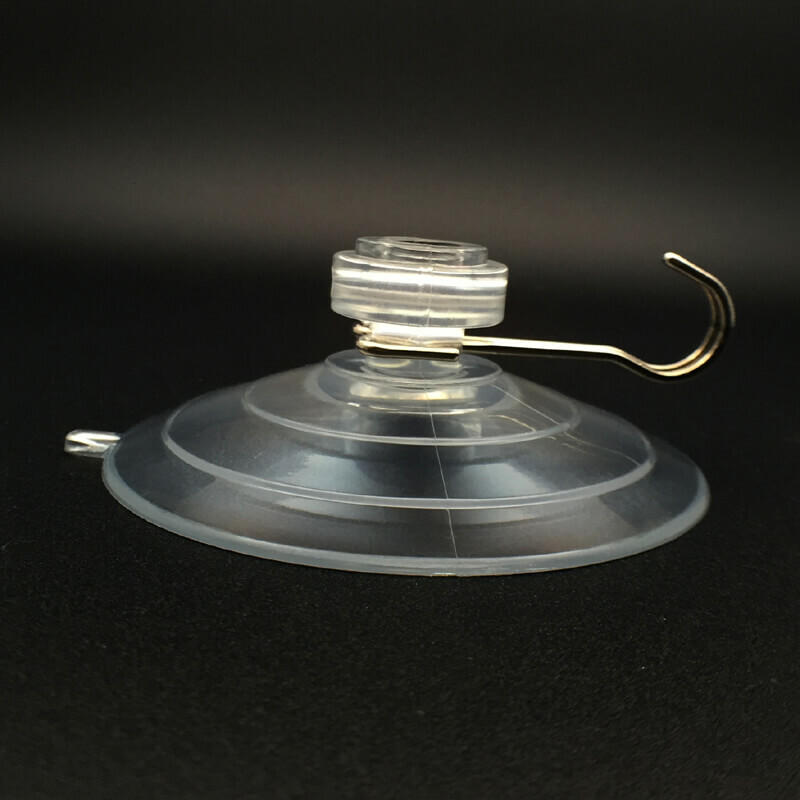 Just for that you must have the powerful Suction Cups Hooks from iSuctionCups. 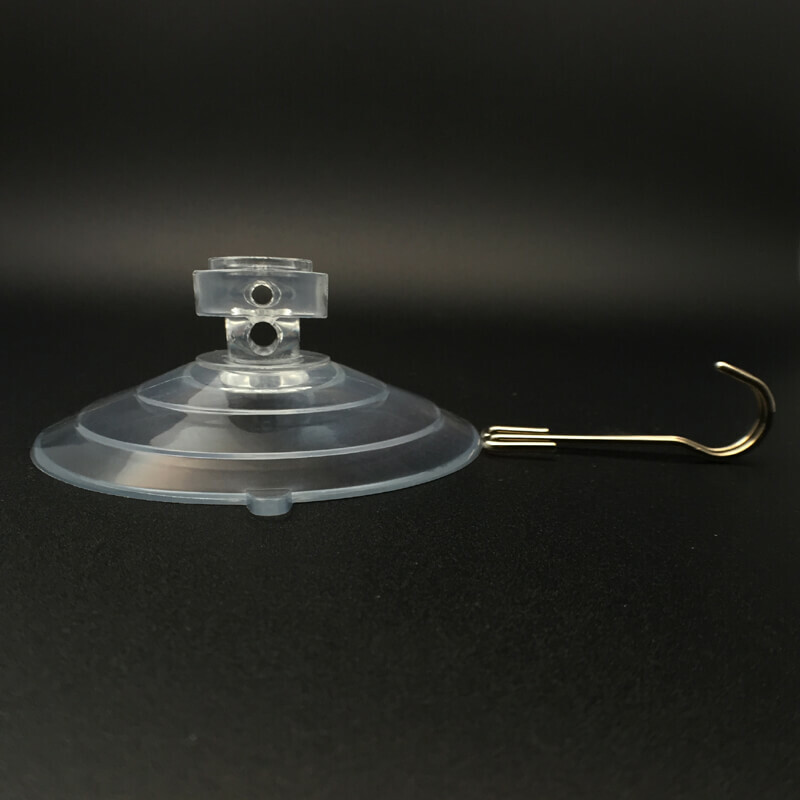 Our suction cups hooks, will give you exactly everything you are looking for. and you won’t have to calculate how much weight you can load. Easy and simple, just like it sounds. or as a drier hanger for bath kneeler. 1) Clean the surfaces before stick it on, and press it to stick completely. 2) Must be used in smooth and clean surfaces, not rough or dirty. just clean it by water to remain its adhesion well. 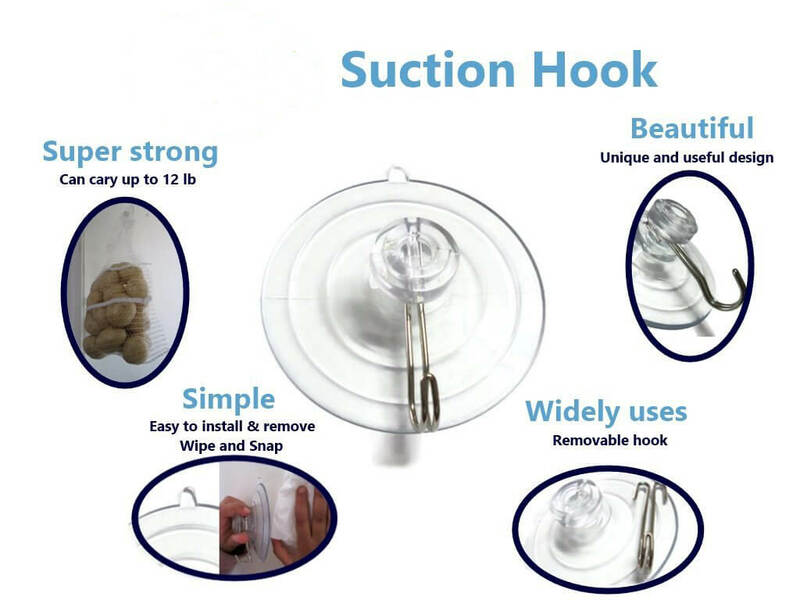 Many customers have seen the beauty and power of our suction cups hooks and chose our product! In any case you will be satisfied cause we give you a 100% warranty.